Dr. Kristy Crawford is a board certified Obstetrician and Gynecologist. She earned her bachelor’s degree in biological and environmental sciences from Morehead State University in Morehead Ky. She returned home to West Virginia to complete medical school at the West Virginia School of Osteopathic Medicine in Lewisburg, WV. 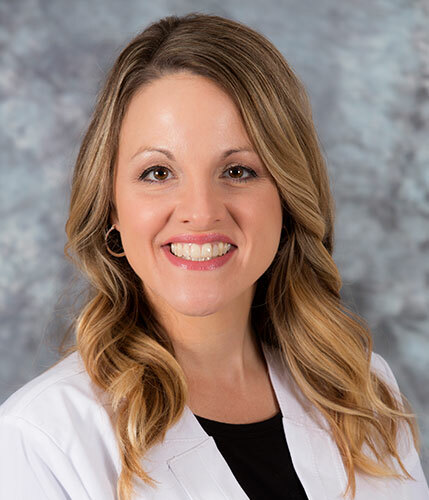 Dr. Crawford completed her internship at the Philadelphia College of Osteopathic Medicine in Pennsylvania and completed her residency in Ob/Gyn at Cooper University Hospital in Camden, New Jersey. During residency she served as administrative chief. Prior to joining Indian River Medical Center, Dr. Crawford was in private practice in Hanover, PA for 5 years at Mountain View Ob/Gyn. During that time she was also a laborist at Carroll Hospital Center in Westminster, Maryland. She is a fellow of the American Osteopathic Board of Obstetrics and Gynecology, a member of the American Congress of Obstetrics and Gynecology, and also a member of the American Osteopathic Association.